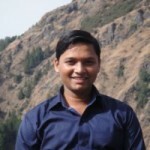 Jitendra Kumar is a Technical Lead in 3Pillar’s Noida office. He has 10 years of experience in software design and the development of complex, maintainable and scalable n-tier Enterprise systems. Jitendra has extensive experience in design, architecture, and development of Web Applications & Services using Microsoft Technologies such as ASP.NET, WCF, C#, Entity Framework, ADO.NET, Enterprise Library, SQL Server. He has worked in all phases of the software development life cycle, including requirements analysis, design, development, integration, and unit testing.